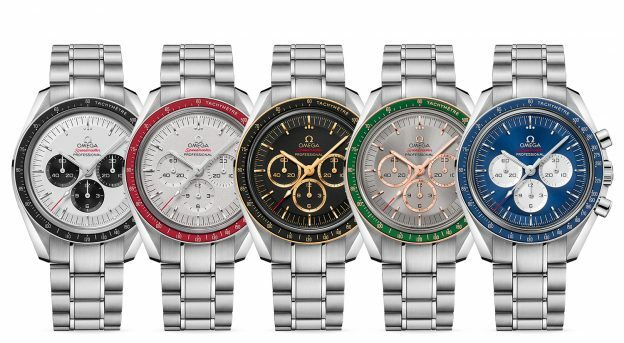 Two weeks after the release of the Speedmaster Professional Ultraman Omega gives us an additional 10 (or 2*5) limited edition Speedies. The watches celebrate the upcoming 2020 Tokyo Olympics and are only available in Japan. This entry was posted in Speedmaster Professional and tagged 522.20.42.30.01.001, 522.20.42.30.01.002, 522.20.42.30.06.001, 522.20.42.30.06.002, 522.30.42.30.03.001, 522.30.42.30.03.002, 522.30.42.30.04.001, 522.30.42.30.04.002, 522.30.42.30.06.001, 522.30.42.30.06.002, Olympic on July 24, 2018 by Dale Vito.